Ever since the Tata Steel board took the call to sell off its haemorrhaging UK assets last month, old Tata Steel hands in Jamshedpur have been heaving a sigh of relief. When the deal was done in 2007, there were many insiders who felt their role would be substantially diminished. After all, the Tatas were buying an entity that was nearly four times the size of Tata Steel. As it turned out, the $12.1 billion Corus acquisition—the biggest global acquisition made by an Indian company—ended up as a millstone around Tata Steel’s neck. And it remains a case study of on how not to craft on a global M&A strategy. #1 Timing is everything: In the early 2000s, the strategy team at Tata Steel had identified a number of potential M&A deals from the US, Europe and Asia. Corus was then a penny stock and available for 10 per cent of the value that Tata Steel eventually paid for it. Apparently, this was the transition period between Dr JJ Irani’s reign and before Mr B Muthuraman took over. 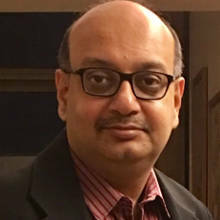 And there was no consensus on the globalisation strategy, says Ashok Pandey, who was group chief-strategy at Tata Steel between 2008 and 2011, before leaving to join GMR’s Airports business as its chief strategy officer. In 2006, after LN Mittal bought Arcelor, that may have galvanised the Tatas, but by then, the commodity cycle was at its peak. And asset prices had zoomed. #2 Know when to withdraw: Tata Steel had signed a negotiated deal with the Corus management. A few months later, Brazilian steel maker CSN made an entry with a higher offer. The Corus management was forced to take the latest offer to their board. And the Corus board proposed an auction. That should have acted as a warning for the Tatas. Participating in an auction is akin to a frog in a boiling water. Since the price moves up only marginally, the impact is often hard to gauge, and before you know it, you could end up getting scalded. In any case, insiders suggest that by then, it had become a prestige issue. Tatas eventually paid 30% more than the original negotiated price. #3 Show me the cash: In hindsight, doing an all-cash deal funded by debt may have been a big mistake. For one, a part stock deal may have softened the blow a fair bit. And to top it all, by allowing the incumbent management team to sell out their stock options——the then CEO Philippe Varin made 10 million pounds as part of that deal—eliminated their residual interest in the business. #4 Due diligence is key: It is true that the Tatas may have gone in with their eyes open that the underperforming UK assets could prove to be problematic. But it isn’t clear if they knew the full extent of the situation—or indeed, how to fix it. As Pandey avers, the UK assets had seldom generated an operating surplus over a period of a decade. And the underperformance in UK was masked by its well-run Dutch operations at Hoogovens. #5 Misreading the changing power equation: For the longest time, the economics of the steel industry was such that the cost of making steel accounted for 70% of the total costs, and the cost of raw materials accounted for the balance 30%. But that began to change as part of the bull run in the global commodity commodity—and the equation reversed, with raw materials accounting for more than 70% of total costs and 30% for the cost of steel making. That had far reaching impact on the industry structure and power dynamics. “Steel men were reluctant to accept the reality that the miners had the upper hand. Roger Agnelli, the Brazilian banker who turned Vale SA into the world’s No. 1 iron ore producer, expected the steel industry leaders to come to him for potential partnerships,” says Malay Mukherjee, a steel industry stalwart and once a critical part of LN Mittal’s global steel empire. Sadly, the steel men who ruled the industry for decades, simply didn’t realise that the ground had shifted beneath their feet. 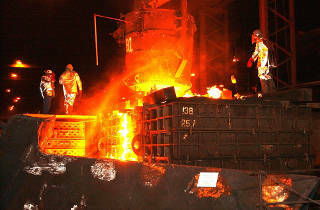 UK steel had serious raw material security challenges. The Tatas hoped to source coal from Mozambique and iron ore from Brazil, but the plan ran into serious trouble. The high ash content in Mozambique coal made it difficult, forcing the Tatas to sell the asset to Rio Tinto. And Brazilian ore was available, but at a very high price. To make matters worse, the cost of power in UK was high, and many of its plants were significantly over-manned and pushing through job cuts was stoutly opposed by the unions. By 2012, the situation worsened, once Chinese steel makers faced with huge overcapacity started to dump steel in UK. According to the FT, Tata Steel’s labour costs there at about $200 per tonne of production, compared with as little as $10 for its Chinese peers. #6 Kid gloves won’t work: After taking over, the Tatas chose a hands-off strategy. And left it to the incumbent group CEO Philippe Varin and his team to independently run operations for the first two years. McKinsey & Co christened this as a new Asian style of integration. No 100 day plans. No integration teams swooping down on their conquests. The Tatas earned tonnes of goodwill, as humane folks who thought long-term and weren’t cost-cutters. Except that the price of that approach showed up a decade later, when losses in UK exceeded a million pounds a day. No wonder that the Tatas had to sell part of its assets earlier this week at a nominal value of 1 pound, with all the debt still on its books. There were a few senior Indian managers, like Uday Chaturvedi and Dr T Mukherjee, who were posted in UK. However, both faced serious challenges in extracting work out of the British workers. They were used to working 4 and a half days a week. “By 2 PM on Friday, the plant was virtually empty, irrespective of how dire the situation was,” says Pandey. In an rare outburst, Ratan Tata had railed against this work culture in an interview to The Times of London. But within hours of that interview, Bombay House issue a hurried clarification, in an attempt to douse the fires. #7 Cut your losses quickly: That the UK assets were spiralling out of control and needed decisive action was all-too evident by 2012. Yet the Tatas chose to soft-pedal, restraining its leaders from taking too hard decisions and actually confronting the unions. The rationale: Tatas had many other business interests in the UK—and any wrong move would have an impact on its other businesses. 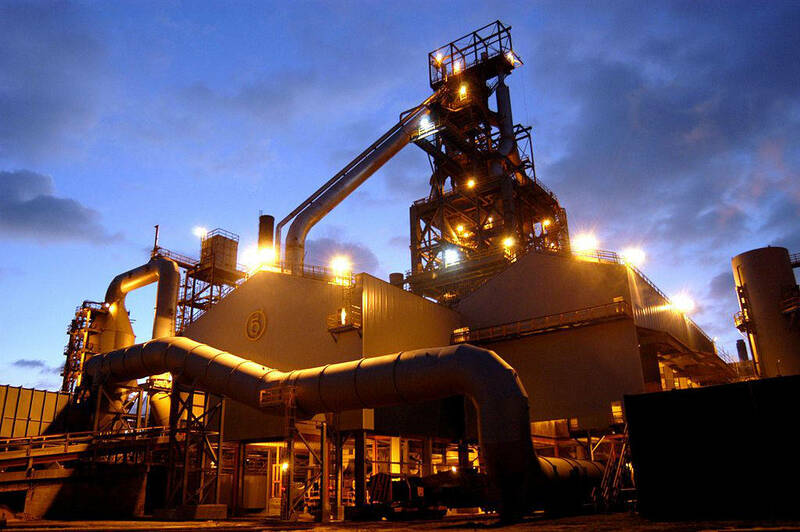 It partially mothballed assets in Teeside, sold off a bit to a Thai buyer SSI UK, but there was no solution to the endemic structural uncompetitiveness of UK steel. The only option was to shrink the operations, and hold its operating team responsible for driving profitability. 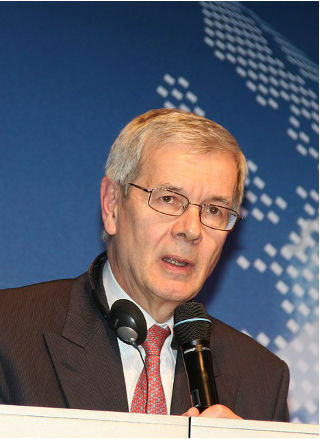 Instead, insiders say it gave a long rope to a former ThyssenKrupp discard Karl Kohler, who as CEO, promised the board that a turnaround was imminent. Finally, in February this year, the board finally gave Kohler the marching orders. 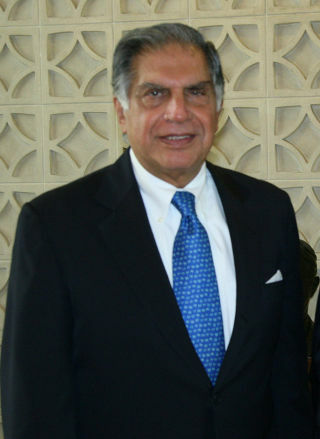 During this same period, the mantle of leading the Tata group moved from Ratan Tata to Cyrus Mistry. It didn't take long for Cyrus Mistry to grasp the seriousness of the situation. But why did the the decision to put the assets on the block not come sooner? Did it have something to do with that transition and fact that the Corus acquisition was one of the biggest legacies of the Ratan Tata era? That’s a question that remains unanswered, as the Tatas look for a suitor to stem the bleeding at its biggest plant at Port Talbot in Wales. That won’t heal its wounds in a hurry, since the issue of the huge debt still remains unresolved. 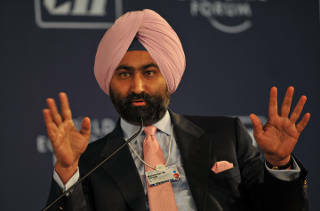 Which is why the Tatas are exploring a way to leverage its Dutch assets to forge a merger with Thyssenkrupp in Europe. The hope is that synergies unleashed through the merger could yield a stronger European steel business that can compete more effectively with the Russians. But equally, there’s a possibility that the powerful auto makers in Europe may block the merger, citing anti-competitive factors, says Mukherjee. The next few weeks will be interesting to watch, as Tata Steel wrestles to find a way out of its European misadventure. Difference between warren buffet and Ratan tata is understanding and studying underlying business.warren belives in asset light business. Warren criticism of u s steel company is well known.looking at tata groups debt level they seem to be no match compared to warren investment stategy. Deal analyses are always done with the advantage of hindsight. I am curious to know, who decided to sell Corus at the peak of global demand for steel and why. Looks like this was the decision of the century perhaps, once again in retrospect though. 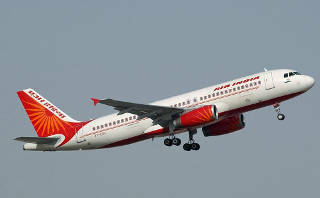 An area to explore is Tata's confused aviation strategy. It is being led by the same person (now on the Executive Council) who drove the telecom business into the ground with RNT. It too is doomed to fail especially the Air Asia partnership. Fascinating stuff. I always wonder why many mergers always look super at time of merger and stupid after some years. I would appreciate if you write an article about AOL-Time warner merger considering today`s growth of ecommerce in India.